Which Is The Most Popular German Car Brand? Now that 2017 has come to an end, the facts and figures of the past year are coming in for multiple commodities, cars included. One particular thing to take note of is the power and influence of the Google search. The company’s search engine plays a huge role in helping companies determine their position in terms of perception and interest of buyers. This latest piece of news BMW Blog picked up will surely make the suits back at Munich quite happy. Google Trends 2017, which analyses millions of search queries around the world, has concluded which of the three main German luxury automakers is most commonly searched. The answer is BMW, followed pretty far behind by Audi and Mercedes-Benz. Over the past 12 months, the “average search queries for Audi and Mercedes was only about two thirds as often as for BMW”. What’s even more interesting is that in Germany the number one search in connection with BMW wasn’t even for a brand new model, but rather one launched in 1997, the E46 3 Series. 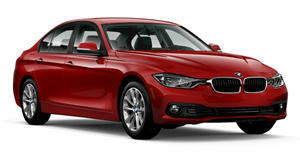 As for the US, the number one search regarding BMW was “BMW for sale,” followed by, again, “BMW E46” and “BMW 2017”. 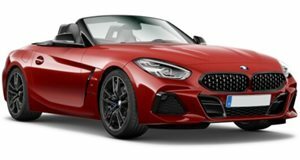 The BMW-related terms that represented the strongest search growth in 2017 were “BMW Z4 2017”, “BMW X1 2017”, and “BMW M5 2017”. Audi and Mercedes, meanwhile, remain in tight competition for a second place Google search finish.